ZCUT-9 Tape Dispenser is one of our best-selling automatic tape dispenser powered by electricity. The dispenser blade unit of this electric tape dispenser can be changed when it's worn out. Acetate / Glass Cloth, Double-Sided, Normex, Filament, Kapton, Electric, and more. Protection Film, Aluminum / Copper Foil, Tube, Plastic Band, Magic Tape, ribbon, and more. 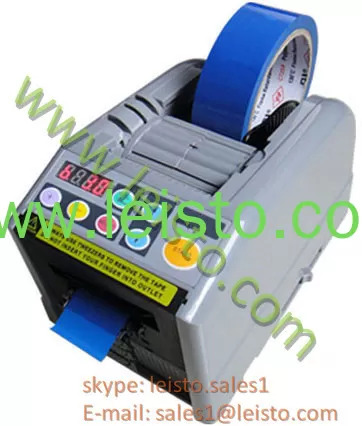 A cabinet-type without tape hanger,which enables the use of any type of the tape reel.